Birimian Gold (ASX:BGS) is about to go deep at its Bougouni lithium project in southern Mali in an effort to provide the data needed for an initial JORC Resource estimate. To date, BGS has drilled a total of 42 shallower reverse circulation holes at the project for 3639m, testing the main Goulamine zone at the project. It told its shareholders yesterday that the drilling had confirmed the shallow depth extensions of lithium mineralised pegmatite over the 700m long surface of the zone. 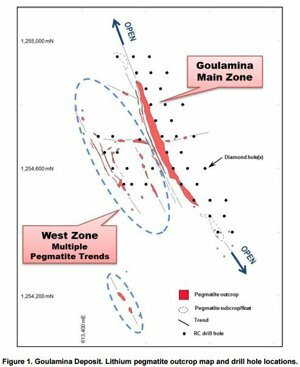 It, however, added that ‘reconnassance’ drilling outside the main zone identified lithium bearing pegmatites immediately to the west of the main Goulamina outcrop – effectively giving BGS more fodder to follow up on in the future. 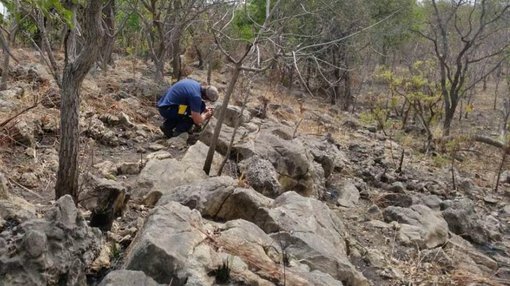 BGS will now begin about 700m of diamond drilling in order to test deeper mineralisation at Goulamina. Both the diamond and RC drilling is being done in an effort to come up with a JORC-compliant resource at the project and to grab samples for processing test work. Samples were previously tested by CSA Global as part of a study into the lithium potential of the area conducted by the World Bank. As part of this drilling the project had an exploration target of between 15-18 million tonnes of lithium oxide at an average grade of 1.8-2.2%. This is not JORC-compliant though, so at this stage remains a conceptual exploration target. Birimian Gold is a multi-commodity mineral exploration company holding substantial interests in several lithium and gold projects in West Africa. The company is actively exploring in excess of 2000km2 of highly prospective tenure in Mali and Liberia, and continues to work to secure additional high potential projects in the region. Birimian Gold’s projects include the Bougouni Lithium Project, the advanced Massigui Gold Project, and the Dankassa Gold Project, all situated in southern Mali. The company also operates the Basawa Gold Project in Liberia. Editor’s note: Mali remains a high jurisdictional risk. Getting mining projects up and running in countries such as Mali is no simple feat, and there may be challenges ahead.